It is April 1… but I’m not putting you on. In week 13 there was a third-party viewer UG meeting. A significant part of the meeting was spent discussing the EEP – Enhanced Environment Project (EEP). The EEP Viewer is in RC and has been for several days. It is the big push in the viewer pipeline. Vir Linen thinks the Love Me Render viewer is the likely next candidate to be promoted. But, EEP should be ready to release in 2 to 3 weeks… Firestorm thinks they will be 2 to 3 weeks behind that. I think 5 or 6 weeks behind, but I’ll be happy to be wrong. As soon as EEP releases the Lab will move on to EEP2. Some of the things people want in EEP are being put into EEP2 to allow EEP to release sooner. Posted in Building, Changes, General News, Second Life. Tagged EEP. There is an ongoing quest, for those of us texturing clothes and things in Second Life™, to upload better quality images. So, here is some new information on making better textures or aka diffuse layers. See Compression Depression. Beq Janus, is one of the people working with the Firestorm team and has tweaked the mesh uploader and other parts of the viewer, been involved in tracking down bugs, and figuring out workarounds for various problems. Now she is on about a discovery made with the help of Whirly Fizzle, all starting with one of Hamlet Au’s New World Notes posts about Frenchbloke Vanmoer… who? Whoever, down in the Debug Settings it is said there is some magic. Unfortunately, it isn’t there, often as is the case with magic. The magic appears surprising to some as they do not understand the trick and think the wand, hand waving, and abracadabras actually do something magical. However, there is a lesson to be learned and another step in the quest for better SL image uploads. Posted in Building, General Computer Stuff, General News, Second Life. Tagged Tutorials. Uploading Mesh – Beq Janus has an article on her blog explaining some of the esoteric aspects of understanding mesh uploading to Second Life™. See: Shedding light on Mesh uploading. Beq is working on the Firestorm Viewer’s mesh upload panel. So, now is a good time to be providing her feedback and ideas you think would make the uploaded easier to use or understand. Posted in Building, Clothes Skins Etc, Fashion, Firestorm, Second Life, Viewers. Monday was a US holiday, Memorial Day. So, today is the Lab’s first workday this week. As of 10 AM SLT this morning there is no Deploy post. But, there is some HOT new news today. See the Other News section. From the Server-Scripting meeting, Simon Linden: Let’s see … for server news, we had a rollback last week of the RC channels for a bug. I think there was a post somewhere about that. We’re going to have updates out tomorrow that have that fixed … and possibly another release that has a few other items in it. It’s all internal changes, as far as I know. Second Life Love Me Render Viewer version 5.1.5.515528 – This an update from the previous version 5.1.4.514788 released in week #16. Second Life Maintenance Viewer version 5.1.5.515527 – Last updated in week #21. 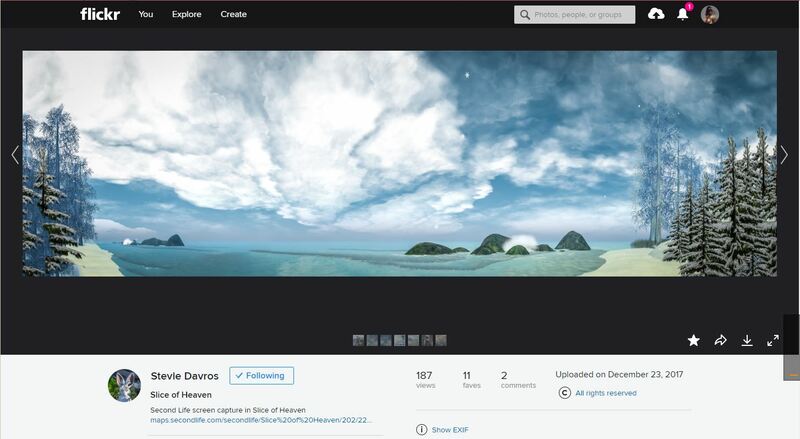 Second Life Project 360 Snapshot Viewer version 5.1.3.513006 – Last updated in week #10. 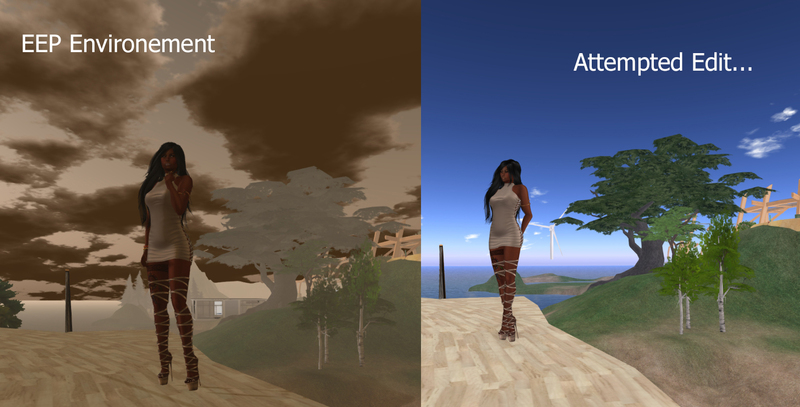 Second Life Project Animesh Viewer version 5.1.4.515420 – Released week #16. Posted in Building, Changes, Cool VL, Firestorm, Kokua Viewer, Scripting, Second Life, Server, Singularity, Viewers. Tagged Advanced Experience Tools, Chat, EEP. If you haven’t realized, we do not have mirrors in SL. The reason is the rendering load they can add. If the Lindens added mirrors someone would add a fun-house mirror room. The region performance would likely drop to 1 frame per minute or possibly per hour. But, we do have ways to fake mirrors. Those I’ve seen are awkward. But, this portal thing is one of the neatest mirror tricks I’ve seen in a long time. You’ll have to turn the volume up to hear Adeon. But, this is just way too neat. Be sure to give the video a thumbs up. Posted in Building, Materials, Second Life. Tagged Mirror. The rent is too damn high… a popular exclamation in Second Life™. For relief check out Penny Patton’s article Reducing the Cost of Land by Scaling Down. This is not her only article on reducing land cost or making more efficient use of Second Life. So, you may want to browse her blog. I’ll point out here that Penny’s ideas on the ‘Default Camera Position’ are being adopted by the Lab. We will soon have “Preset Default Camera Positions” as a feature of the Linden Viewer. Doors – Another thing with Penny and her building to scale. In another article, Smaller Doors Anyone Can Fit Through, she on about making doors into SL building to scale. The handy knowledge in this article is for those that have bought homes/building other have made. How does one scale down a building and still fit through the door? Penny has the answer. Animations – I came across this video from a post in a Plurk. Notice the hand and face animations. Posted in Animation, Building, General News, Second Life. Tagged Dance, Events.